Fabian Coulthard says he can only blame himself for a bizarre error on Sunday at Phillip Island that squandered a golden opportunity to increase his championship lead. Coulthard was handed a drive-through penalty mid-race after exiting pitlane against a red light following a pitstop. The red light is used to stop cars filing out of pitlane directly into the line behind the Safety Car, which passed while Coulthard was in the pitlane. Jack Le Brocq had also been caught out by the red light in the day’s earlier Dunlop Super2 Series race. 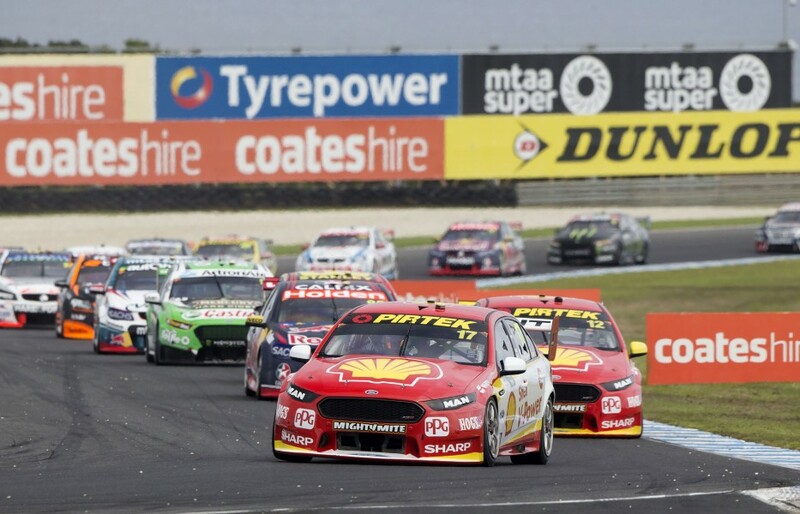 Coulthard’s error came on a day where his team-mate Scott McLaughlin suffered on pit strategy and other key rivals Shane van Gisbergen and Jamie Whincup had tyre blowouts. All four cars ended up in the bottom half of the field, with Coulthard finishing one place behind van Gisbergen in 17th, ensuring his championship lead was cut to seven points. “We had a good car. It was one of those days we needed to capitalise and we didn’t,” Coulthard told Supercars.com. “It’s not the team’s fault. I’m the one driving the car and I’ll cop the blame because it was my error. “There was a red light there, I’ve looked at it, thought nothing of it and gone past it. “I’ve never, ever, during my whole V8 career, seen a red light there during a race. “I’ve never seen that in my life. “There’s always lights there but I’ve never seen them on. Anywhere. "I got passed the red and they (the team) said stop, but it was too late." Coulthard stressed there were more positives than negatives to take away from a weekend where the Shell V-Power Fords proved the fastest in the field. McLaughlin edged Coulthard to both ARMOR ALL Pole Awards, but the latter twice won the battle to the first corner. “I was terrible at starts last year and it’s something I’ve worked hard at,” he said. “In Adelaide I had a blinder against Shane and then both starts here against Scotty. McLaughlin endured an even more frustrating weekend than Coulthard, finishing 10th on Saturday after being one of several penalised for crossing the line at pit entry. The 23-year-old remains yet to win a championship race for the Ford team, despite starting three of the last four races from pole. “I feel really good, the car is performing incredibly well, we’ve just had a few things that are costing us,” he said after crossing the line 14th yesterday. “It will come. The main thing is we’re still getting good points, and still up the top in the championship (fifth). “It could have been much better after taking two poles this weekend, and then the loose bodywork cost us a few positions as well.